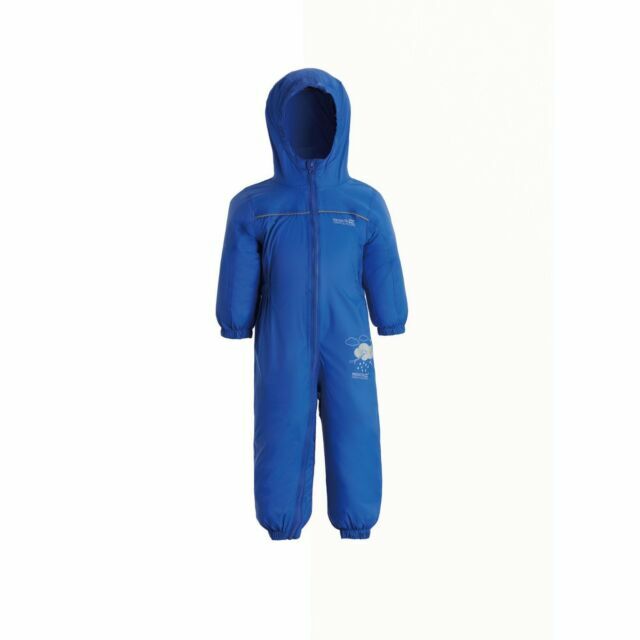 Regatta Puddle/Paddle All in One Rainsuits are a great way to cover your child while out and about either on School run, going in the park or just sending your child on the school trip. Regatta Puddle suits are designed with a full-length zip to keep all the inner layer dry. I bought the 2-3 year size for my 18 month old and it fits now but will last him the winter. Lovely colour and soft material. Fits well and does the job. Very good product, exactly as described and arrived in a timescales stated.